After the whirlwind surrounding graduation & the bar, Lydia and Brandon wed in a lovely ceremony at Central Christian Church. Lydia’s bouquet consisted of white and two shades of yellow rose, craspedia and dusty miller, perfectly complementing her ivory lace gown. 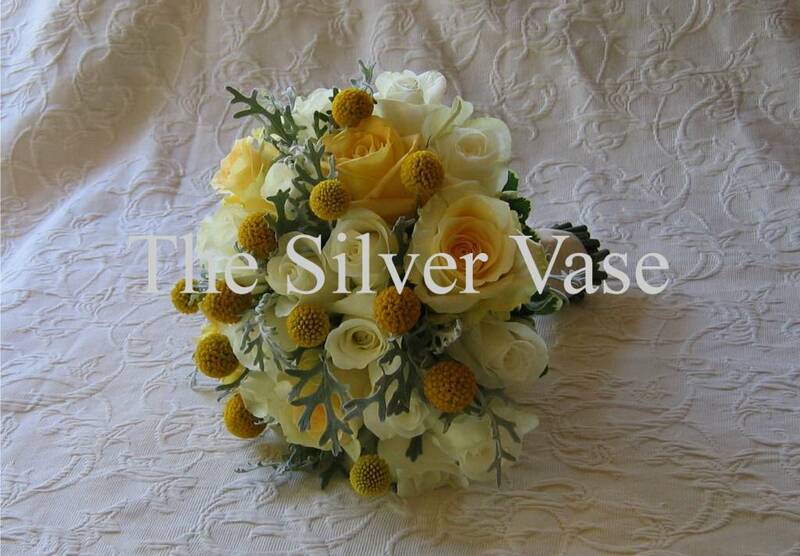 Groomsmen wore gray tuxes with craspedia boutonnieres. 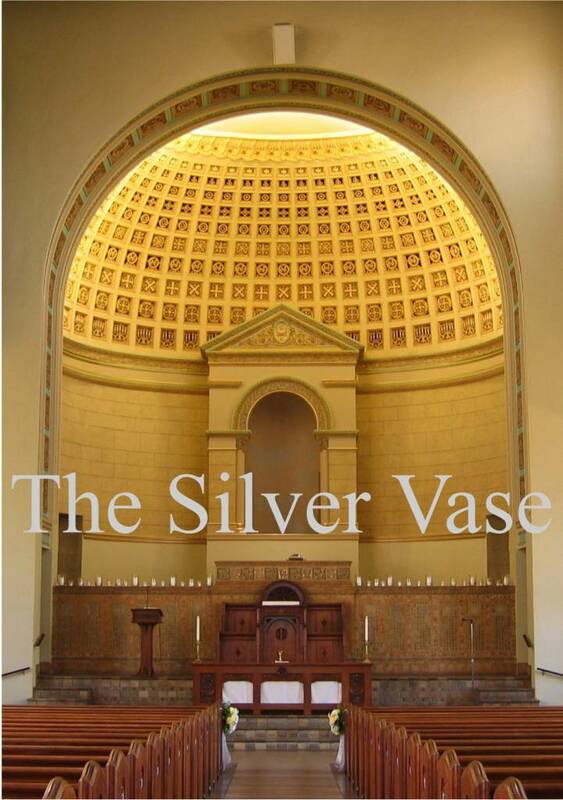 To accentuate the beauty of Central Christian Church, decor was kept to a minimum with candle accents and lush pew markers. 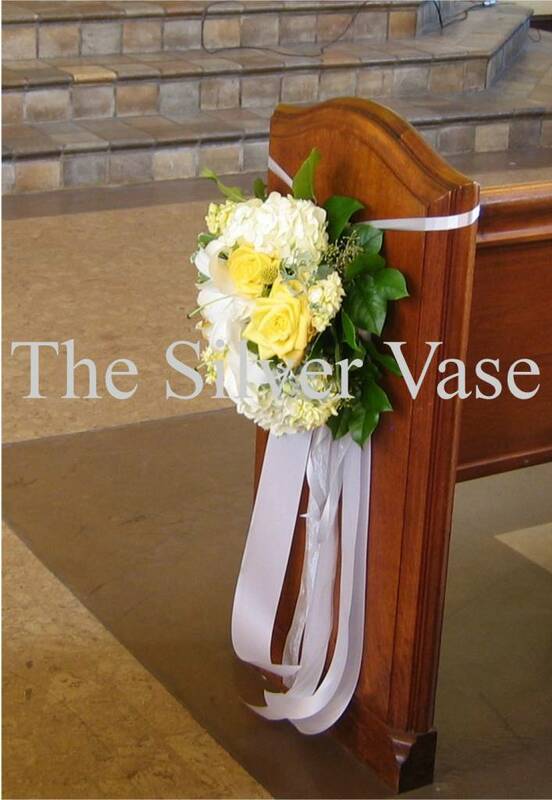 Lush pew markers in shades of yellow, ivory and gray with gray sweepers accented the pews. 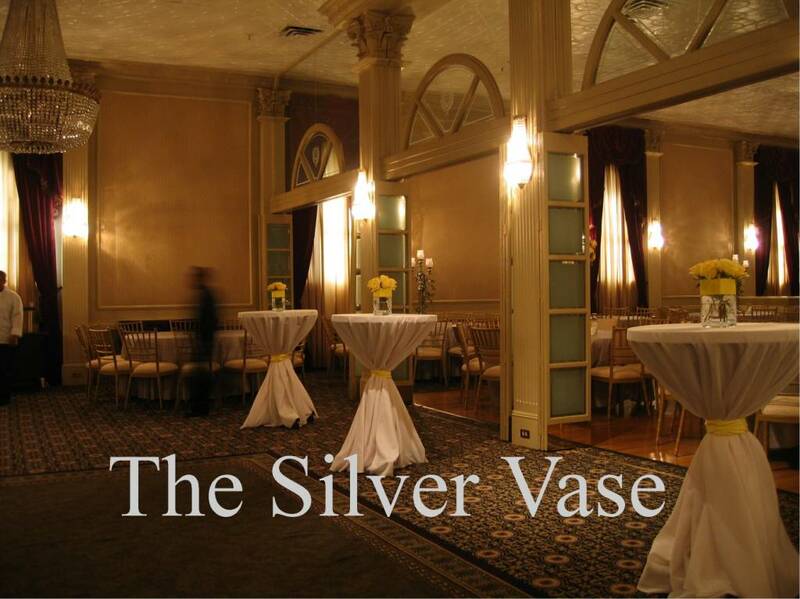 After the ceremony, all attended a warm reception at the historic Austin Club. 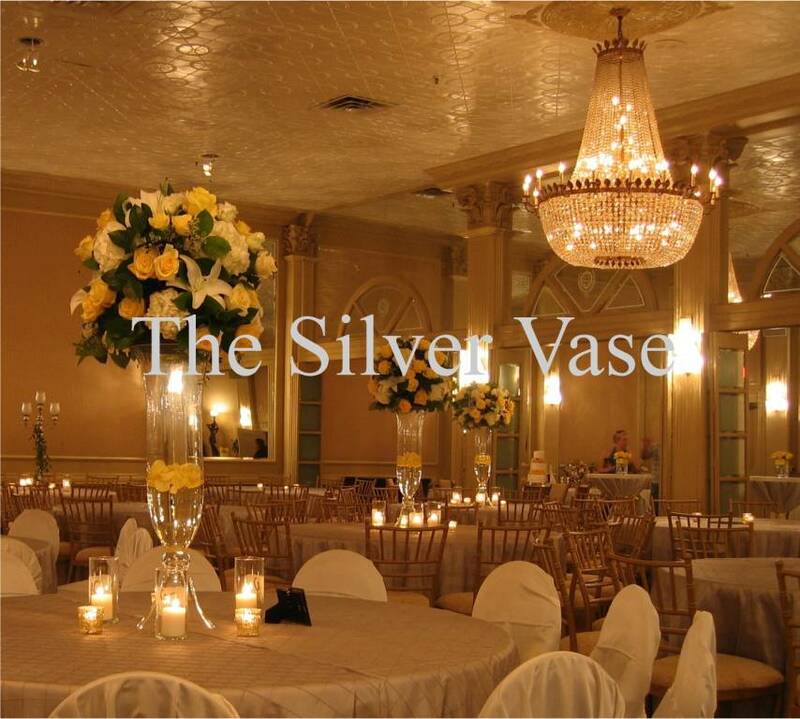 Guests were greeted at the entrance of the ballroom with cocktail tables dressed in white linens and accented with a yellow sash. 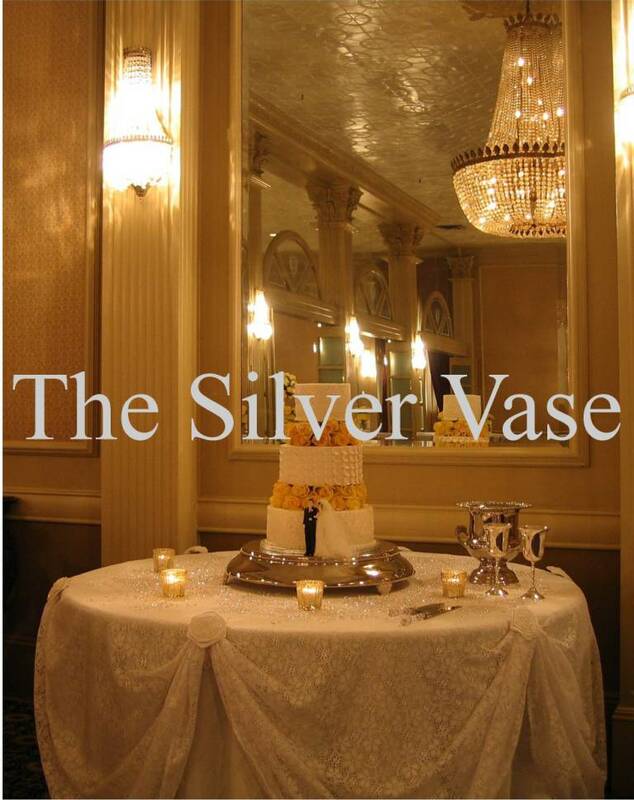 Throughout the evening, the younger guests mingled in the foyer and laughed over bouquets of yellow roses. View from the foyer into the ballroom. 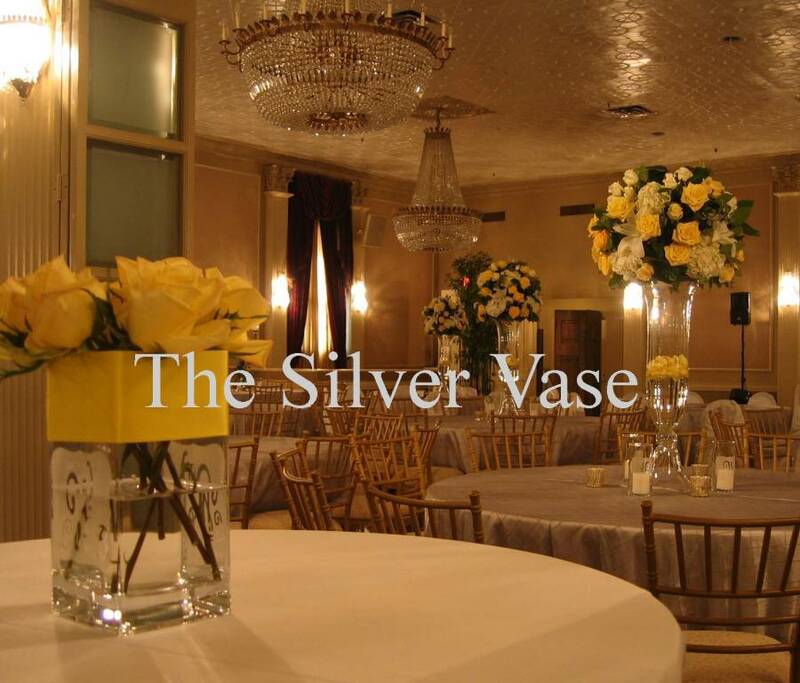 Large crystal chandeliers graced the ballroom of The Austin Club while tall yellow and white centerpieces by The Silver Vase graced the guest tables. 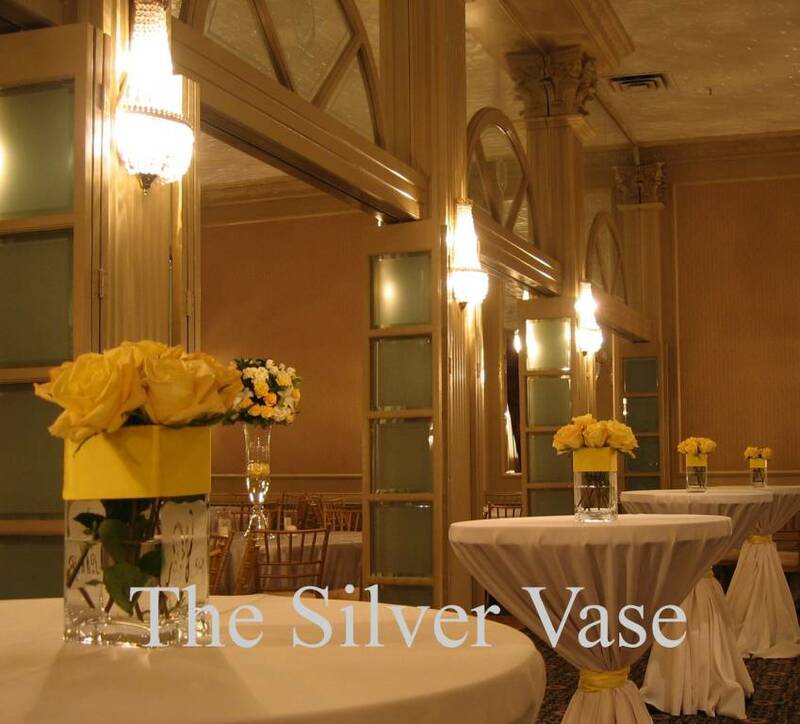 Yellow vase petals were situated at just the right height to catch the eye of diners throughout the evening. Silver pintuck linens by Unique Decor by Yara reflected the gold ambiance of the ballroom, while mercury votives and pillar candles created a lovely glow. 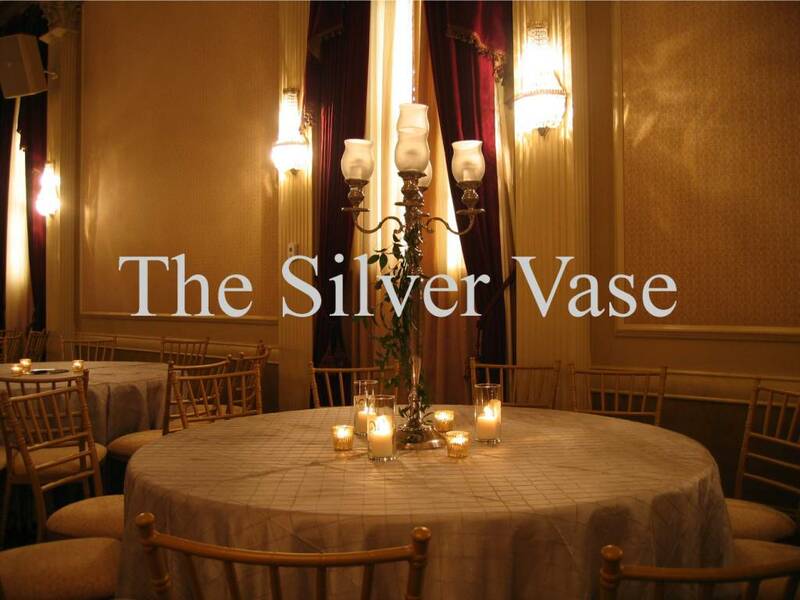 Silver candelabra accented by candlelight alternated with the taller centerpieces. Pretty cake on silver & lace. We wish Lydia and Brandon all the best!